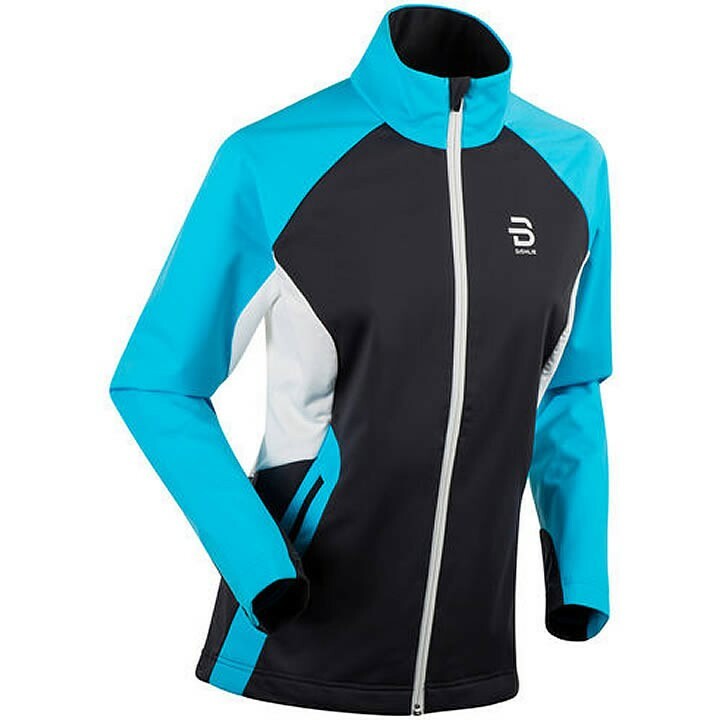 The women's Bjorn Daehlie Cavalese Jacket is a sporty, technical jacket with a regular fit that is suitable for low-intensity cross-country skiing. It features wind and water resistant softshell material with Bionic Finish Eco® that boosts durability in the form of long-lasting colors and resistance to harsh weather. Strategic stretch panels and sleeves give great mobility, as do partially elastic cuffs at the bottom of the sleeves. Reflective details increase nighttime visibility and the two hand pockets in front feature YKK zippers.